Sinatra seems like it could be Martin Scorsese’s post-millennium masterpiece. An icon of rags-to-riches, high society life in the golden age of showbiz, and the Italian-American identity, Frank Sinatra is the perfect subject — perhaps the only worthy subject — for a gallant Scorsese biopic. But all parties involved must be up to snuff. Sinatra demands a capable star (most assumptions have attached Leonardo DiCaprio to the role), a bounty of well-traveled supporting cast members (characters should include Rat Pack members, as well as Sinatra’s ex-wives Ava Gardner and Mia Farrow), and of course, a talented writer: Deadline reports that Billy Ray has been hired to fill this slot. Ray is nothing if not versatile. His most recent claim to fame is the script to The Hunger Games, and he has been attached to Tom Hanks‘ Somali pirates picture Captain Phillips. Throughout his career, dating back to the early 1990s, Ray has written the scripts for the hit action flick Volcano, the WWII drama Hart’s War, the psychological thriller Flightplan, and the crime drama State of Play. Ray also wrote and directed the 2003 drama Shattered Glass. It goes without saying that Ray’s storytelling abilities span multiple genres. But while he has managed a slew of good movies of varying types, Ray has yet to really strike gold with any of them. It is interesting that the sort of jack-of-all-trades figure that he is has been tasked with what will likely be a meaty, highly introspective examination of a universal icon’s life — for Scorsese’s Sinatra biopic, you’d expect more of a penetrating creative force with perhaps less of a genre range and more of a reputation for really sinking into a piece of work. That isn’t to say that Ray won’t be able to handle the project, he’s just not exactly the prototypical figure one might have expected Universal to give the job to. But maybe what we’re looking at, then, is a more stylistic, unique approach to the story of Sinatra’s life and career than what we might have expected? 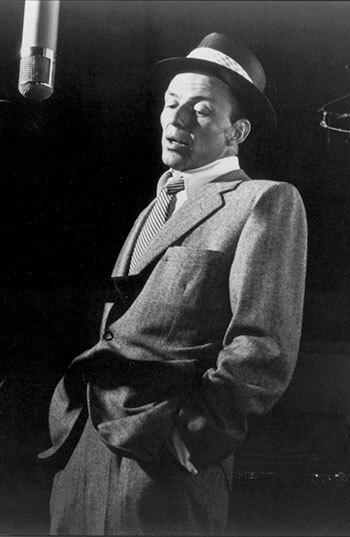 Scorsese exhibited his own desire to expand his horizons with 2011’s Hugo, so perhaps Sinatra will take his filmmaking further still. In any event, it’s a project worth looking forward to. What we already know is promising; the surprises at bay make for even greater excitement. Jonah Hill Joins Leo DiCaprio in ‘Wolf of Wall Street’: Is He Ready for a Scorsese Movie?